Pick up any business magazine, from Wired to the Wall St. Journal, and you’ll find article after article on running a business smoothly and efficiently. A smart business is an efficient one. The smoother everything goes, the more productive the business can be. Your warehouse is no different. Sure, it’s a big room full of boxes and shelving units and forklifts, but that doesn’t mean that it can’t run just as efficiently as any slick venture capital or hedge fund investment office. With just a bit of tweaking, most warehouses could see a significant improvement in terms of processes – and therefore productivity. And improved productivity typically means improved profits… and that’s always a good thing. Sometimes it’s hard to take a step back and get a different perspective, but if you’re able to see your warehouse with fresh eyes, I can virtually guarantee that you’ll find ways to increase efficiency. Now before we go much further, it’s important to note that a discovery of some existing inefficiency is no reason to look for someone to blame. Warehouse inefficiency really is a kind of by-product of company growth. You may have started out with a big, nice empty building, but as growth happens, energy and resources tend to be diverted towards sales and marketing and other profit centres. Vital aspects of business – like your warehouse – can easily be overlooked during periods of growth. The goal here isn’t to find someone to blame – it’s to find ways to improve. More efficient warehousing and goods delivery and receiving can be just as beneficial to the bottom line as a sale. 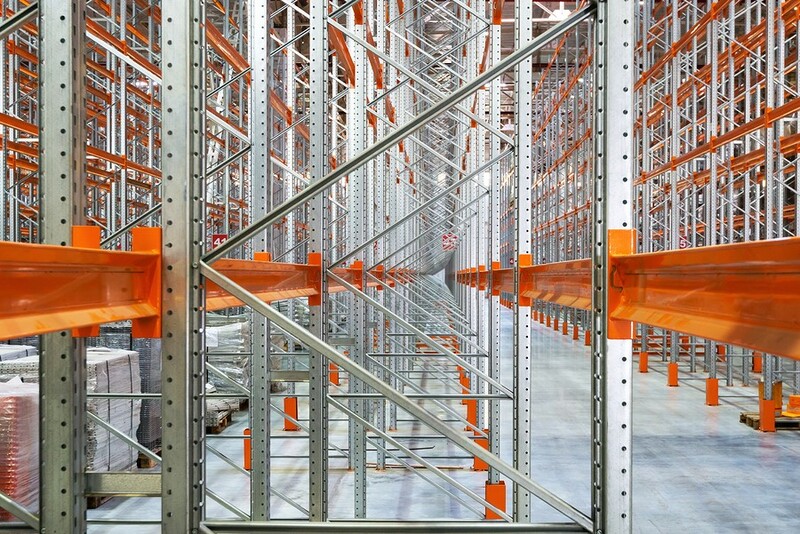 The biggest obstacle to warehouse efficiency tends to be space management. Does the layout of your warehouse fit with your workflow? Are the products you need most easily accessible? Are you taking advantage of the space you have available with appropriate shelving and storage options? Is there a logical path that goes from receiving to storage to shipping? Are the various products stored in a logical order? Here’s a test. Create a flowchart that tracks an item from the time it’s received until the time it’s shipped out. What is your receiving process like, and how does the product then move from receiving into storage? When a picker receives a shipping order, how much walking does he or she have to do to fill the order and get it to shipping? How easy is it for someone to find what they are looking for? With just a few tweaks, you can significantly decrease the amount of time it takes to get something out the door. If you handle pallet shipping to Europe or within the UK, you want to get those pallets picked, packed, and shipped quickly – so you can get paid quickly. An efficient warehouse makes your employees and customers happy, and that makes managers and executives happy. Everybody wins! So take a little time and see if your warehouse efficiency can be improved with a few little workflow adjustments. It will be worth your time.